How many times have we ignored the brown signs on the M40 to the Heritage Motor Centre at Gaydon, Warwickshire? More than I can remember. Yet today we called in for the first time and were hugely impressed by the museum that pays homage to Britain’s car heritage. Dad routinely bought British until he bought the Princess. It was a shocker. The problems started when it was brand new. The hub caps sprang off when he was driving around Cardiff, and the Howells BL dealers had no idea why. A couple of years later, the car burst into flames as Dad was driving my 89 year old Nan home from Wiltshire after celebrating her birthday with my sister. Nan thought it was a great adventure, but Dad never bought another car from BL or Rover. 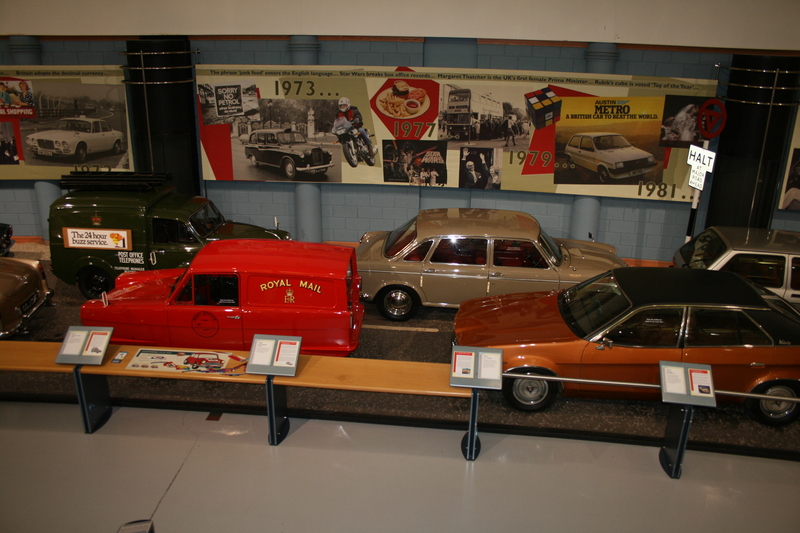 But the Gaydon museum is much more than a tribute to the dark days of British car making. It covers the whole history of our motor industry, including a recent gorgeous Range Rover concept car. Owen (above) loved wandering around the museum. 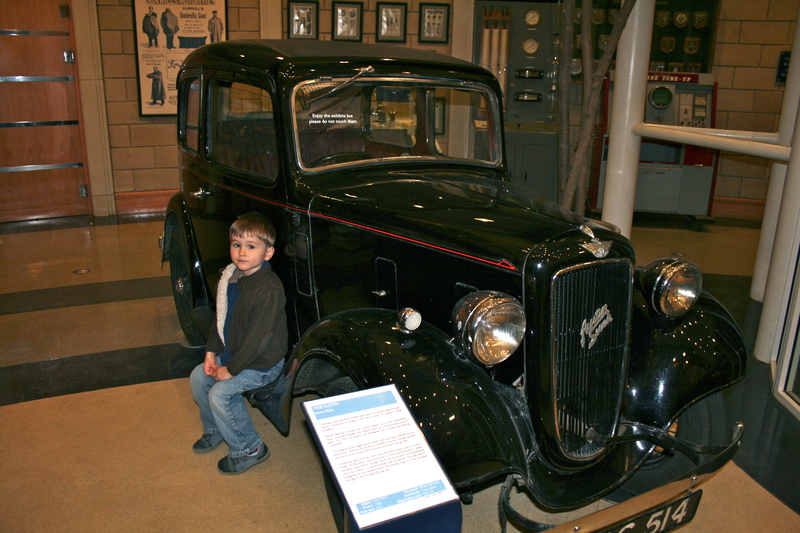 Here he’s inspecting one of his grandfather’s first cars, the Austin Seven. I didn’t know until today that BMW’s first car, the BMW Dixi, was a licensed version of the Austin Seven. The Heritage Motor Centre is well worth a visit. It has an excellent cafe, Junction 12, and a cinema and well stocked shop. We’ll follow those brown signs more often in future! This entry was posted in Britain, Family, History, Transport and tagged 1800, Austin Princess, BL, Heritage Motor centre, Metro by Rob Skinner. Bookmark the permalink. Must be the only 1800 and Marina that haven’t ended up as a pile of oxidised metal. Actually the 1800’s were pretty rugged cars. Used to have a nice dark green Austion 1100. Couldn’t afford the highly desirable – at the time – two/tone, green/cream MG1100. We liked the 1800 as well, Trevor I still remember the reg: GTG 323N!